Event Description: Martin Tremmel, Richland County’s Health Commissioner, will be providing an overview of Richland County health data and health department priority areas. In addition, he will present historical comparisons of disease rates at the local, state and national levels. Martin J. Tremmel has nearly 30 years of professional work experience in the field of public health. He began his career in 1989 as a health educator during the early period of the HIV/AIDS epidemic and as a field inspector (registered sanitarian) for hazardous/infectious waste, tattoo establishments, solid waste, drinking water, wastewater and marinas. Mr. Tremmel became the youngest Health Commissioner in the State of Ohio with his appointment to the Seneca County Board of Health (Tiffin, OH) when he was only 29 years of age. 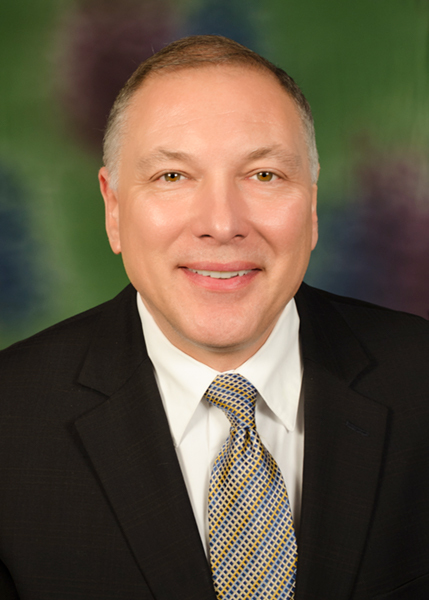 He has served as Health Commissioner for the Huron County General Health District (Norwalk, OH) and Health Commissioner for the Union County Health Department (Marysville, OH). Mr. Tremmel has served on the Ohio Governor’s Office staff as Assistant Director for the Ohio Department of Health (ODH – Columbus, OH) under Governors’ John Kasich and Ted Strickland. While serving as Assistant Director, Mr. Tremmel had a staff of 1,400+ employees and a $760,000,000.00+ budget with direction over the financial affairs, employee services, local health support and public health preparedness divisions. He became Health Commissioner for Richland Public Health (Richland County, OH) in 2013. Mr. Tremmel is a member of the Richland County Youth and Family Council (RCYFC) and previously served as Chairman. He is also a member of the Richland County Local Emergency Planning Commission, (LEPC). He currently serves on the Richland County Regional Planning Commission Executive Committee as a current board member and serves on board committees for the Renaissance Theater in Mansfield, Ohio. Mr. Tremmel is active on various committees for the Association of Ohio Health Commissioners (AOHC) and is a national site visitor for the Public Health Accreditation Board (PHAB) in Alexandria, Virginia. Mr. Tremmel has a bachelor’s of science degree from The Ohio State University; a master’s degree in health administration from Cleveland State University and a law degree from Cleveland-Marshall College of Law.